Okay, first the basics. What is APK (or .apk)? It is more or less similar to .exe (Windows) & .dmg (OS X). It is a file format for installing applications / apps onto Google’s Android OS. So if you want to install any application in your Android device, then you need to download APK files for that. But, wait, we have Google Play Store for downloading / installing apps easily, isn’t it? 1. It’s quite simple actually, just open the desired app on the Google Play Store and copy its link (you can see that in the address bar). You can also find the package name of the Android app and use it. 2. Now, open Evozi APK Downloader and paste that link in the text box available. You can see the screenshot below. I used DEAD TRIGGER 2’s Google Play Store link there. 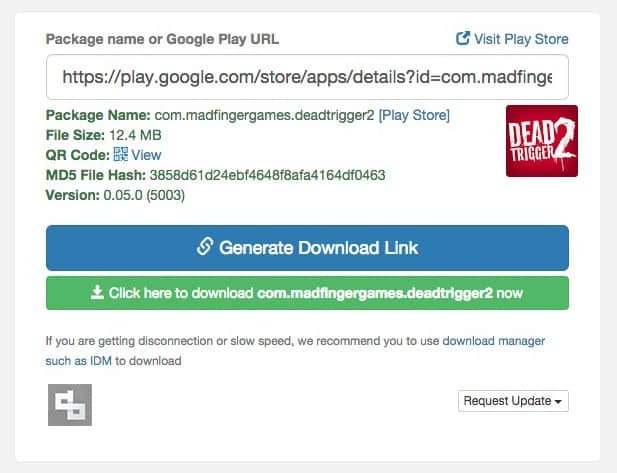 Now you can generate a download link or directly download the APK file. That’s it! 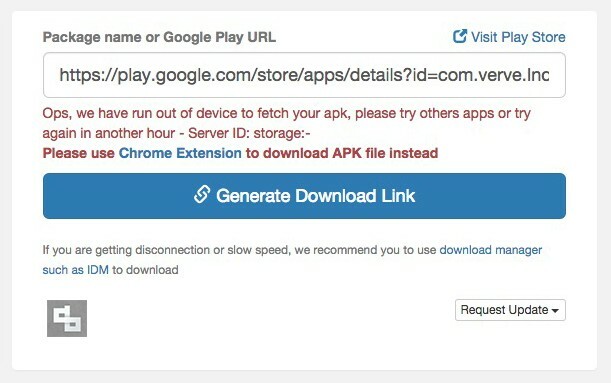 This tool works for all the major applications, but sometimes it might throw errors like this – “Ops, we have run out of device to fetch your apk”, then you can try again or use the Chrome method with the link they have given there. Having any queries regarding this? Facing any trouble? Do you have any other easy method? Feel free to share them in the comments below. How To Backup Your Android Device: Complete Guide For You! Google Android M Won’t Be Milkshake. Here’s Why.